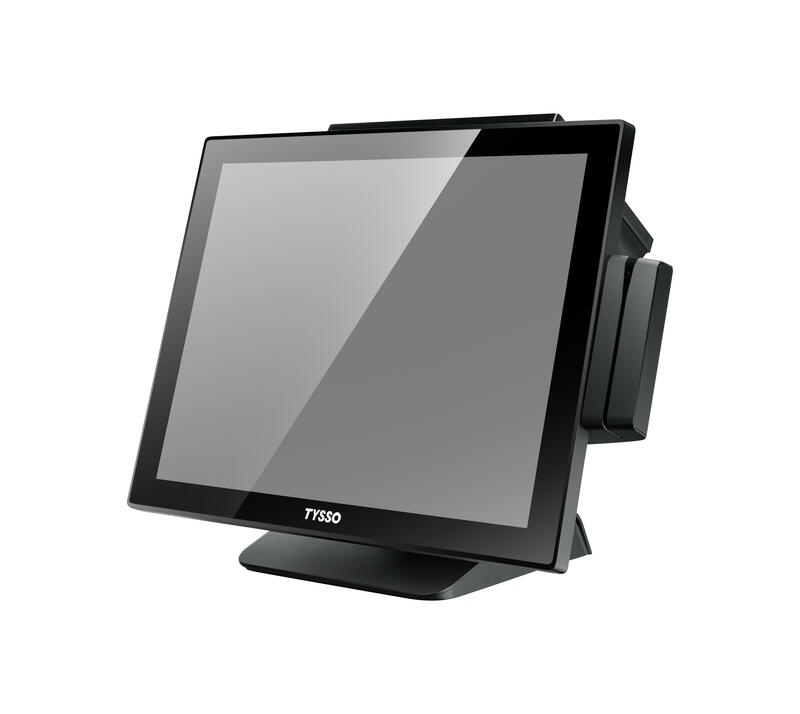 The POS-1000 touch screen terminal is a cost effective and compact 15 inch point of sale P-Cap touch screen terminal , featuring a spill proof design, which make it ideal for both Retail and Hospitality environments. With a sturdy die-cast aluminium base and a rugged, yet ergonomic design, the POS 1000 stands up well in high volume Retail environments. These touch screen terminals are simple to integrate into a current PoS environment thanks to a VESA 75 mounting hole which is suitable for use with the Space Pole Point of Sale mounting system which is also available from Eposcentral. This minimises the amount of counter space taken up by the Epos System. 4 x USB, 1 x VGA, 4 x RS232 serial interfaces, Ethernet port, cash drawer port.